The on the water focus was all about familiarity and fun in the new boats. We warmed up with many tacks, gybes and mark roundings. Then onto short course racing experimenting with sail controls and various techniques in order to try to understand how the variables made a difference. The medium/fresh breeze was perfect, enough to have a lot of fun, fully powered up and planning, whilst not windy enough to be overly testing on the first outing. 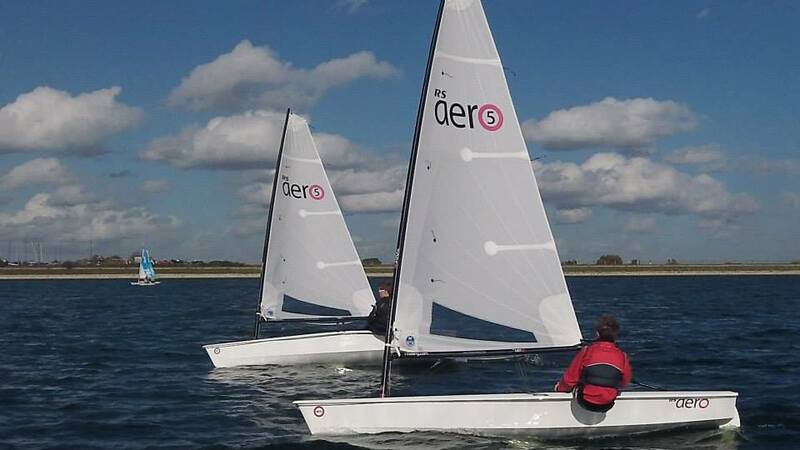 Having the bigger rigged Aero along and also a guest Phantom sailor on the course was interesting. 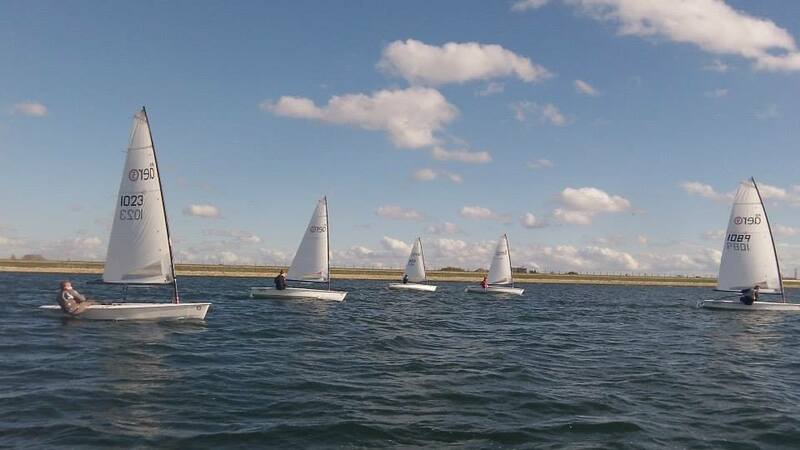 When the breeze kicked in such that the bigger rigged boats were overpowered upwind and the 5s were planning downwind the '5's were looking very impressive! This was the easiest with the sailors hopping straight in as the boat came up. 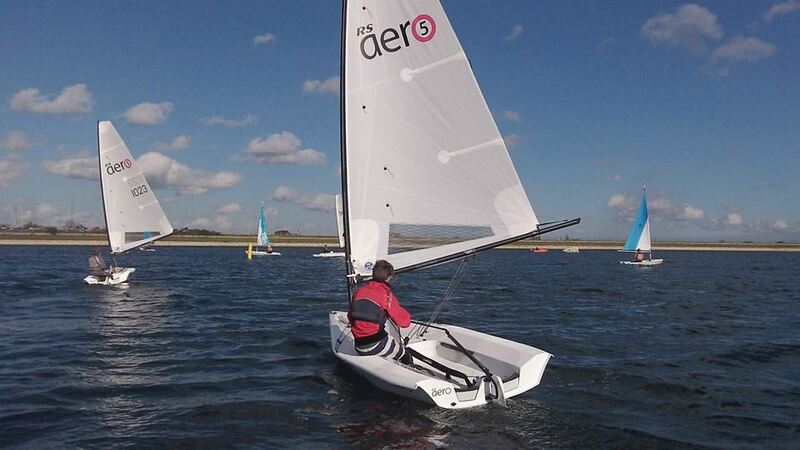 With its light, sealed rig the Aero tends to come upright before you can fully climb on the centreboard. None of our sailors had a problem then climbing in amidships with a kick of the legs and a pull on the cockpit grab rails. Larger, less agile sailors have alternatively come in over the transom successfully. The boats needed some encouragement to turn turtle due to the sealed mast. Once turtle the sailors used the gunwale to help climb and stand on the upturned hull. From there the record was 10 seconds from fully inverted to fully upright with sailor aboard! 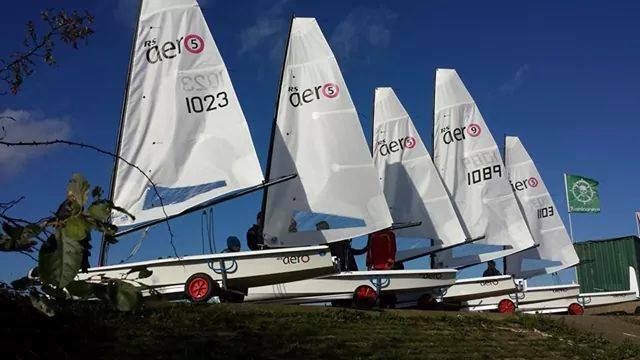 The 5 jubilant young Aeronauts finished the weekend exhausted but delighted with their new toys and very much looking forward to the next weekend at Hayling Island SC on the 6/7 December where more will join the fun. For further details and enquiries with regards to the Aero5 training weekends go to the events page. More pics and vid (Coaching Channel) here .